Which daffodil would you be? 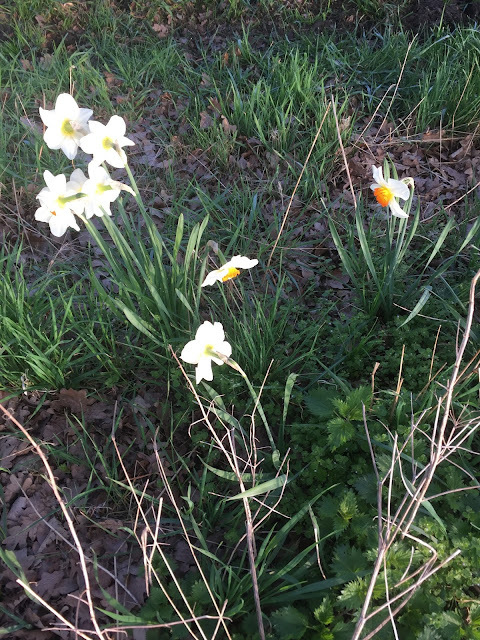 During my daily run I encountered a group of daffodils. On the edge of the group were two other daffodils. Which daffodil would I be? As someone who does nót do very well in groups I can identify with the daffodil on the right. It seems to be sympathetic to the spurned daffodil. It'll start up a conversation, and try to make it feel better. I think the daffodil in the front will probably try to get into the bitchy group!